Mobile cases that showcase you! 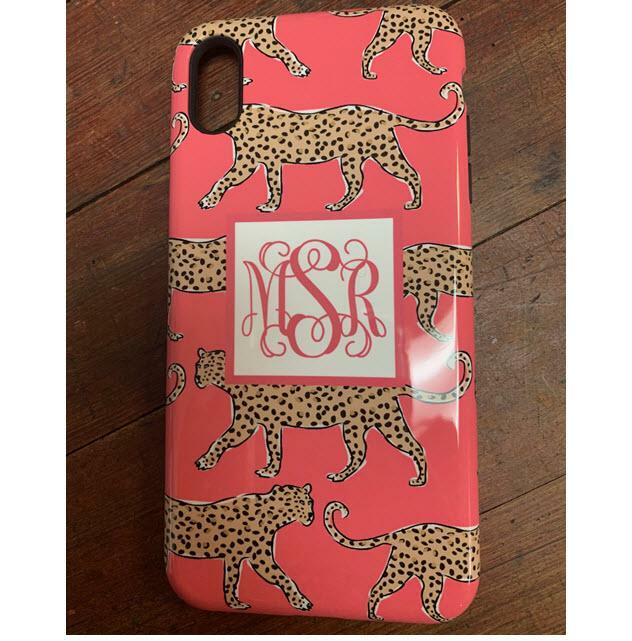 Clairebella monogrammed cases are the perfect way to protect and personalize your phone. So many adorable patterns to choose from that it's hard to pick just one. Have fun creating and customizing a phone case just to your liking. So many fun options that you may just want more than one! These cases are made out of Lexan, an extremely durable plastic, and they simply snap on your device. Want a little more added protection for your phone? We love the new tough cases! These have a rubber insert and do a great job of protecting your phone while still looking stylish. Have fun creating your device case below. Start customizing below by selecting your phone type, a pattern, a frame, accent color, and font. Three weeks delivery time is needed for the custom phone orders. Please choose your way the monogram or name will appear on your piece. This is not a font choice but a solid background shape or a hollow one. The next step will allow you to choose your font. Names will only fit on the ribbon or band choice!! Hoopla will be the one pattern that will only have the solid circle as the choice. 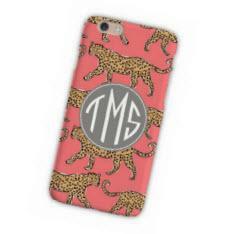 Note that we can not do names on phone cases only monograms. Choose a color for your monogram. This will be the choice for the accent color. Your monogram or name will always in white. Circle only - Script 1 or 3 letter, Monogram 2 or letter. All fonts (except Monogram) can be used as a single letter in a circle. For a single letter all fonts except Script and Monogram. For 2 or 3 letters Times and Century only.